It looks like someone at the Sky Map Devs team has found the lost github repository and decided to give the app a breath of life. Don't expect groundbreaking changes and design modifications. Sky Map still looks positively outdated by any standards. It has a mix of Froyo/Gingerbread elements along with a few Holo drop-down menus that feel even more out of place. The graphics, like the launch screen, are pixelated even on a 1080p screen. I can't imagine what they'd look like on QHD displays. The only interface change is the menu button that has now moved to the action bar, to keep up with all modern Android devices that no longer have a menu button. But the core functionality is still there and that's what's been given a small shake. Data errors have been fixed: Rigil Kentaurus now shows as the more appropriate Rigel Kentaurus and planet order has been restored. The magnitude is now down to 5.6, letting you see more stars. Arabic translations were added as well. Corrected planet order so that Jupiter appears behind Venus. Sky Map still does the job well and it's kept its small installation file size of about 2MB. 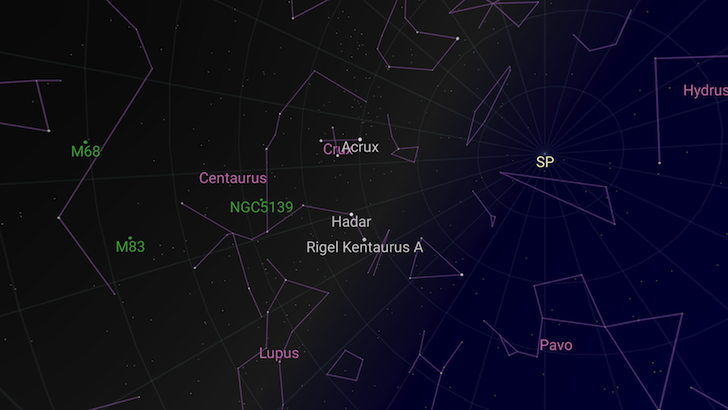 While this update may not be enough to steer you away from your modern star-gazing apps, it's a sign of life after what everyone had presumed was the death of Sky Map. We may see more updates in the future or we may not, but here's the Play Store link so you can keep a close eye on it.